I'm teaching CEIL 205: Picture Book Illustration, an 8-week course starting at 630 pm, Tuesday, October 10. The course goes towards an illustration certificate from Emily Carr University's Continuing Studies department. 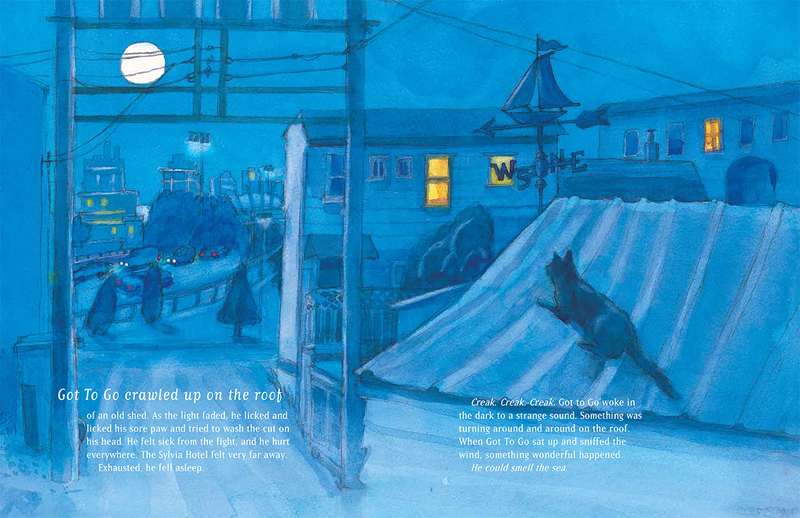 An illustration of the cat called Got to Go on a shed in the moonlight from Mister Got to Go, Where Are You?